San Francisco’s premier residence, the LuXe, located in the prestigious and highly coveted Pacific Heights neighborhood features 34 inspired one, two and three-bedroom homes. An immaculate display of architectural elegance, the LuXe redefines modern sophistication and elevated comfort. Beautifully appointed finishes and rich materials are coupled with fluid open spaces for a singular, transformative experience. San Francisco’s iconic downtown skyline. Learn more about the project and the development team. 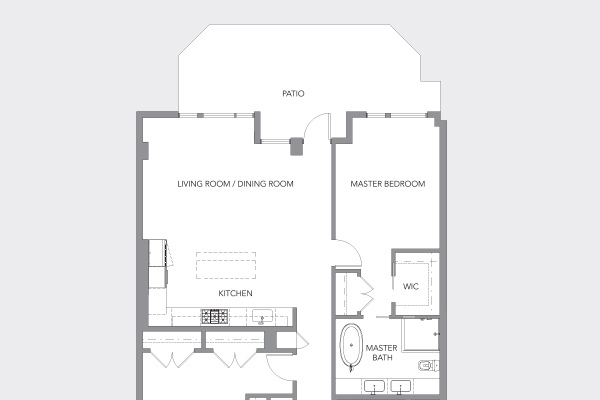 Find the perfect fit, and browse our unit plans by number of bedrooms or floor level. Our designer interiors are composed of high-quality materials and finishes. With an abundance of options for a full range of palates, the LuXe is surrounded by San Francisco's finest restaurants and eateries for a range of sumptuous fine dining experiences. Dozens of cafes to Michelin Star and Zagat reviewed restaurants are within walking distance and boast of culinary specialties from around the world. Pacific Heights is a premier destination point. Central to Russian Hill, Nob Hill and the Marina district, the LuXe is conveniently placed in an exclusive hub of high-end boutiques, artisan stores, clothing designers, furniture shops and beauty stores to meet the needs of any discerning shopper. LuXe is surrounded by a host of small parks, peppered with galleries and historical sights. The area has long been considered the 'hollywood' of San Francisco and filled with Victorian mansions and cinematic views of the Bay and Golden Gate Bridge, making it a consistent favorite of visitors to the city. Thank you for your interest in LuXe, someone will contact you with additional information soon.